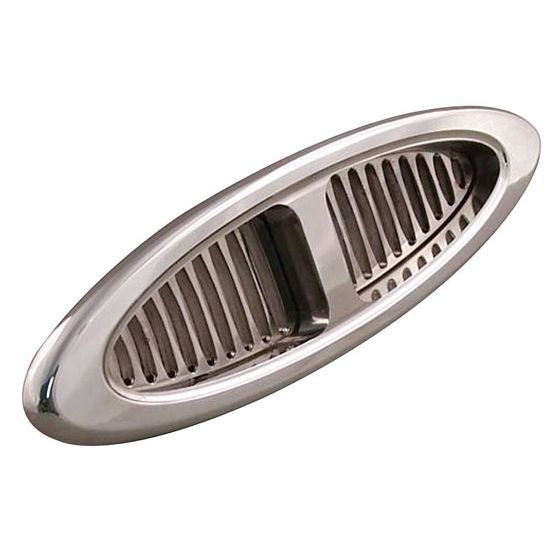 Give your dash some class with these distinctive oval-shaped A/C vents. They feature machined billet aluminum bezels with stainless steel vents for easy upkeep. Features dual outlet vents. Vents accept standard 2-1/2" A/C hoses and include brackets. Bezel measures 7-1/2" x 2".